Eagle House | Launceston Then! 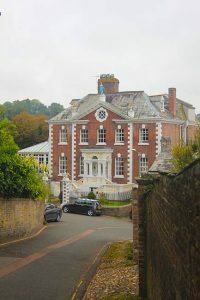 The Eagle House Hotel, built as a town house for Coryndon Carpenter, Esq., attorney-at-law, Constable of the Castle and Mayor of Launceston in 1755, and again in 1763. It must have been around this time he purchased a lottery ticket which he handed to his intended wife. This ticket was a winner making the couple £10,000 better off, a not inconsiderable sum for that period and the couple then wed and began to build the mansion house just outside the north gate of the castle; this building was completed around 1764. Coryndon again became mayor in 1767, to be followed by John in 1768 and Joseph in 1769. Coryndon Carpenter was again given the honour of office becoming mayor once more in 1774 being the last mayor of that name for the town. 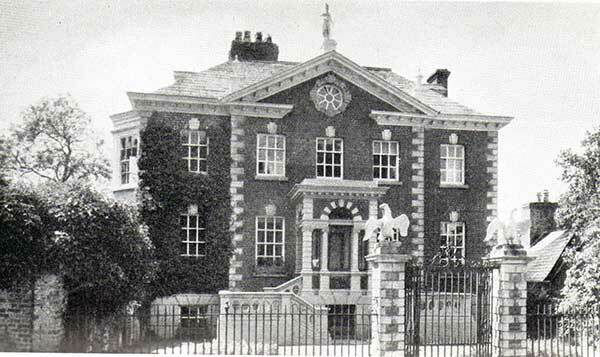 In 1962, after the death of widow Mrs Enid Dingley, the house was put up for sale and was purchased by Mr Gillbard, Trevozah Barton, South Petherwin, who stated he intended to retain what he could of the beautiful decoration in the building. Post & News, 16th June, 1962 SOUTH PETHERWIN PURCHASER SALE OF EAGLE HOUSE. Eagle House is officially listed as a building of historic interest. In 1963 Mr Gillbard applied for a residential and restaurant licence for the renamed ‘Eagle House Hotel’ and the licence was granted by the Launceston Borough Magistrates on Monday, 27 May, 1963. Mr Gilbard sold the Hotel as a going business in 1981. Mrs Pam Gillbard (widow of the late Colin Gillbard of Trevozah Barton) retired from Eagle House Hotel in January, 1988. The business was sold to Mr & Mrs Statton of Egloskerry in 1991, and in whose stewardship the hotel had flourished into one of the town’s flagship hostelries. In August 2013 the Statton family sold the hotel to the Dunlavy family who in turn wanted to close the hotel business down and turn the house into a series of flats. Alexander Dunlavey, a director of the company, said in a statement to the council that the use of Eagle House as a hotel with a function room did not conform to the locality, led to increased noise and traffic issues, and had a detrimental effect on the surrounding residential properties. However this was subsequently turned down by Cornwall Council planning and the business was put up for sale again through licensed property specialists Stonesmith of Exeter. It has now been purchased and again running as a hotel and event business. Above staff of Eagle House with Colin Gillbard in 1965. Eagle House in 2014. 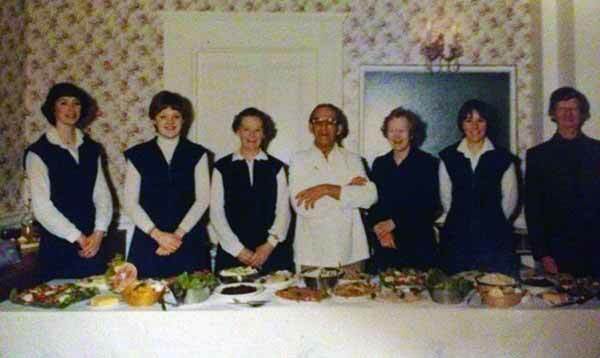 Above Eagle House staff in 1981. Photo courtesy of Kirsty Hamley.